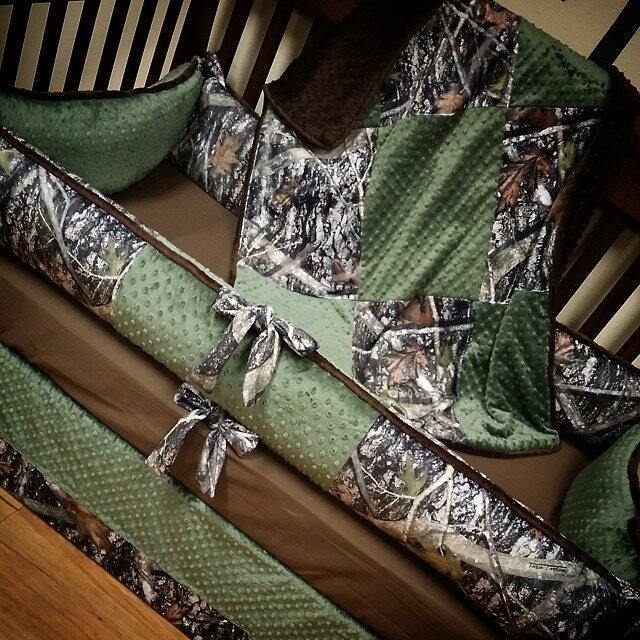 True Timber, Camo, Hunter, Crib Set. You design. Several Colors Available. 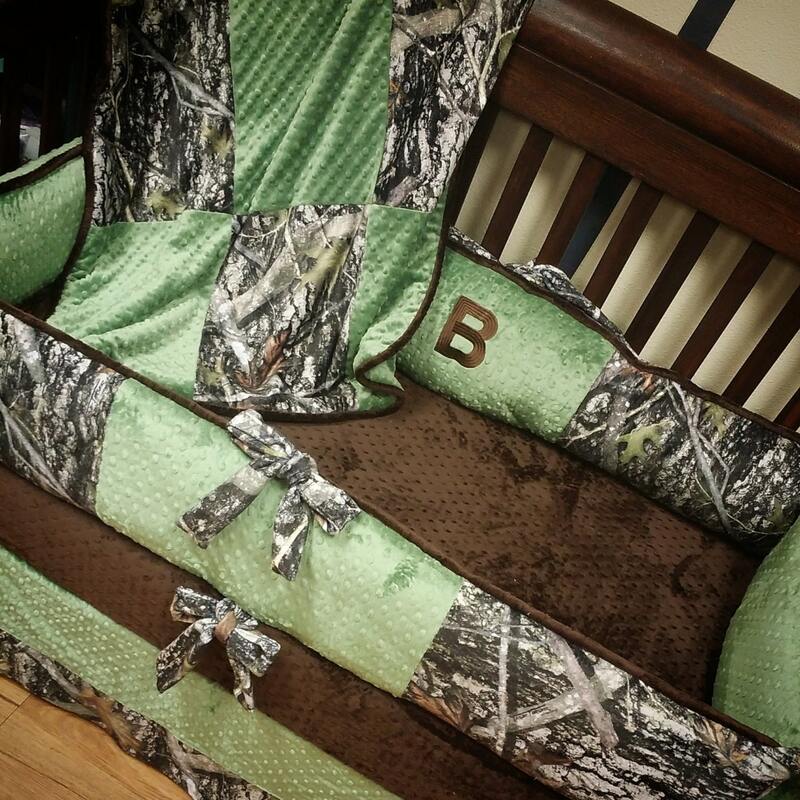 For this crib set, we have "True Timber" minky fabric, lime & brown minky dot fabric. 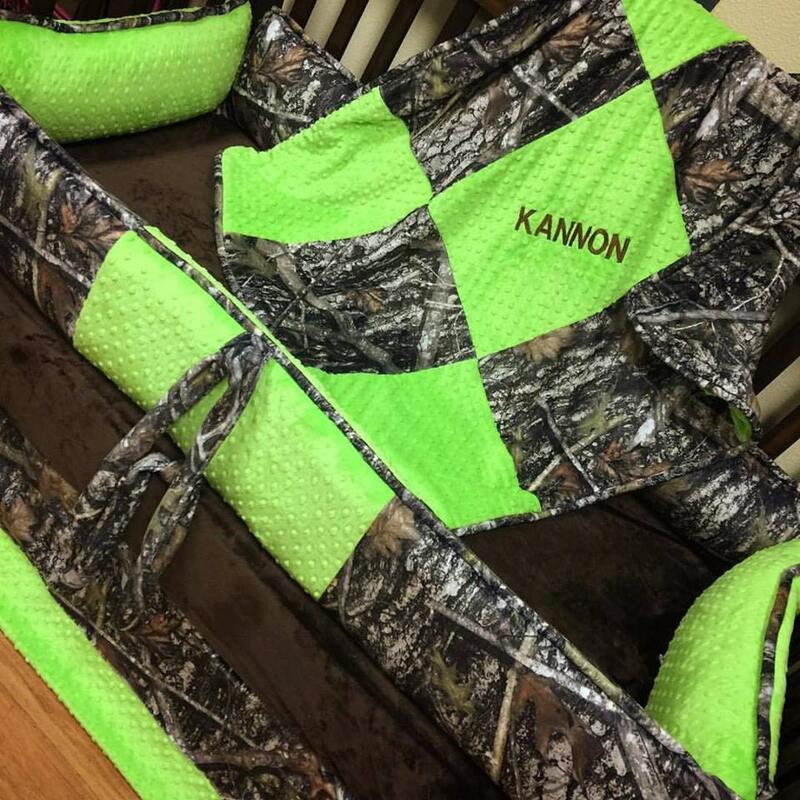 Embroidery is not included but can be added for an additional fee. You can also swap out the solid minky for any other solid color. Love every bit of it was well worth the money spent !! !